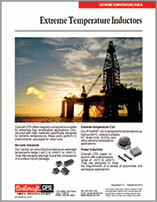 Coilcraft CPS offers coils suitable for use in extremely high temperature applications. Comprising high grade materials specifically designed for extreme temperatures, these parts can perform in environments unsuitable for many other coils. The air-core inductors feature an extended temperature range (–60°C to +200°C or +240°C), pass NASA low outgassing specifications, and have tin-lead terminations. 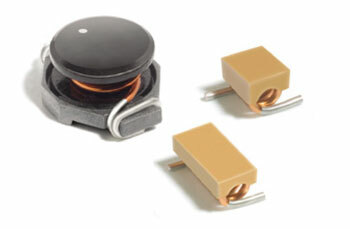 The power inductors have a temperature range of –55°C to +200°C. The AT549RBT coil is suitable for down-hole applications and is designed for temperatures as high as 300°C.